Yikes! I missed last weeks post! Steve was home for a week on home time and I don’t do much work when he’s home. As an OTR trucker, we see him so little – he is gone 2-3 weeks at a time – the least I can do to be present when he is home instead of tied to a computer. Since I missed last weeks update for how we are living frugal in 2019, I’m just going to do one update that covers both weeks. The past two weeks have been pretty busy ones for us. As I said, we had Steve at home for 6 days which was amazing. We all miss him desperately when he’s gone so having him be able to be here for Emma and Laura’s birthdays was amazing. Yes, both girls turned 14 this past week. They are within 5 days of each other so we simply celebrated both at the same time. 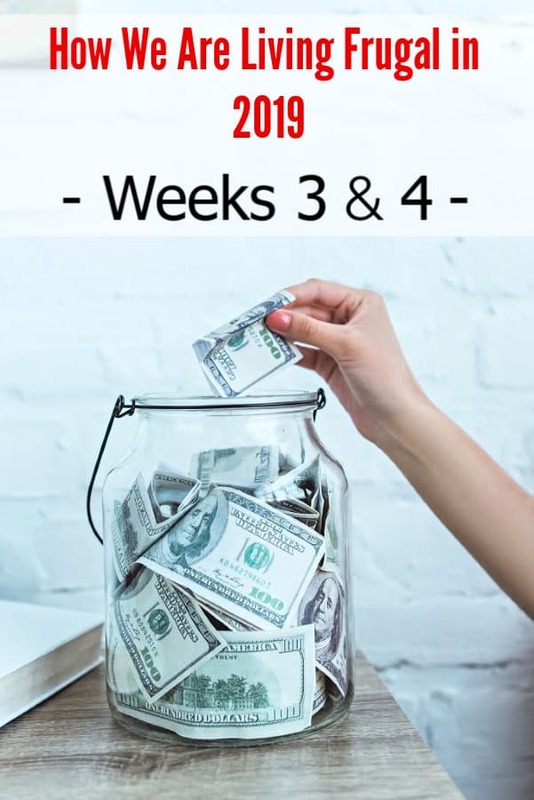 If you’re new to these updates, my posts on how we are living frugally in 2019 are a once a week post on how we saved money in the previous week. Normally I include what we ate that week too, but since this week is a double update, I will be skipping that part. We are working on several family financial goals in 2019 and these updates are meant to help keep me on track. I mentioned in my week 2 update that I had been shopping a Prime Pantry sale that was happening. The savings is $6.00 for every 5 qualifying items you purchase. I am still shopping it to help build my stockpile on a budget. At the time, my price per item was $1.80 each. Because of some better deals and figuring out a new way to save even more, my price per item has now dropped to $1.38. I have purchased 207 items total that had a retail value of $688.65. I have spent $284.92 out of pocket for that $1.38 average. If you are wanting to shop Prime Pantry sales yourself, you will need to sign up for the Prime Pantry Free Trial HERE. The Prime Pantry membership is a fairly new thing for Amazon, but it is well worth it. When you’re a Prime Pantry member, you get unlimited free shipping with orders over $10.00. This saves you $5.99 shipping costs on your Prime Pantry orders. When you sign up for the free Prime Pantry trial, you get 30-days totally free. After the trial, you’ll pay $4.99 a month so one Prime Pantry order and it has more than paid for itself. With the $6.00 off 5 sale, as long as you have your 5 items that total more than $10.00, your shipping is free and you will get the $6.00 off. Pair that with Prime Pantry coupons if you need in order to reach your $10.00 minimum and you can really get some great deals on breakfasts, side dishes, baking items, snacks, drinks, beauty and more. I adore Sam’s Club for bulk shopping, but it has been a while since I have had a membership. This past week, I was able to take advantage of THIS deal to essentially get my Sam’s membership totally free. When you sign up for Sam’s Club coupons HERE, they will send you a promo code to your email. Use that promo code to sign up for the $45 Sam’s Club membership and they will send you a $45.00 coupon off your first in-store or online order. This essentially made my membership free! It will get put to good use in February when I do a second round of stocking up for snacks for my girls and truck food for Steve. Steve and I are getting married soon which meant I needed to find a suitable dress to get married in. I didn’t want to spend much on it since a) we’re not having a huge wedding and b) because we’re not having a huge wedding, we have a small budget. Finding my wedding dress on a budget was super important. ThredUp is one of my favorite places to get quality used clothes so I decided to take a look. I’m glad I did because I was able to get my wedding dress for just $16.99! It’s not a traditional wedding dress, but it’s pretty and will work well for what we need it for. I will pair it with some fake pearls I already own and be done with it. If you have never shopped ThredUp, I highly recommend it. They’ve got great prices on everything from Faded Glory to the high end designer prices. If you’re a new customer, you can use THIS link to get a free $10.00 credit to get you started. The girls have the Valentine’s Day dance coming up at school and since I have tomboys for children, they needed dresses. Again, we popped over to ThredUp. I was able to get both girls their dresses for $31.98. The best part about it is that their dance dresses will also double for the wedding. This means I won’t have to buy clothing for them to be there in so I will save even more. I make a lot of of our household items, but things such as TP and toothbrushes, I can’t make so I get them at Grove.co. Okay, I could make family cloth, but I draw the line there. In any case, when I placed my order this past week, I was given the option to share on Facebook for a free Grove dish soap and free Grove soap dispenser. I took them up on that offer, lol. If you’ve never shopped Grove, use THIS link and you’ll score a free 5-piece Mrs. Meyers cleaning set with your first order of $25 or more. We love them for their prices on natural items. Grove is one of the ways I get free cleaning supplies for our family. If you’re wanting to learn how to get free ones for yourself, I explained that HERE. This may not be looked at as frugal on the surface, but it really is. This past week, I picked up THIS fireproof lock box to store our important documents in. I had one before Emma and I downsized to live in a hotel, but it was apparently lost in that move. Since then I’ve had to replace our birth certificates, custody paperwork and so on. Let me tell you; that was NOT cheap. Because it cost me so much to replace those things. I wanted to make sure I didn’t have to again. The lock box will help me ensure they stay safe even if we have a fire or water issue at our house. As I’ve been working on my weight loss journey, I’ve had to get rid of my larger jeans. My Emma is almost 5″10″ at 14 and she carries a lot of muscle. She’s in the size I just dropped out of and since she needs jeans, I passed on 4 pair of jeans to her. This keeps me from having to buy them for her. I love using the cash rebate app Ibotta, but I often forget about it. Given that Ibotta will pay for items such as milk and produce occasionally, I needed to start using it again. In the first week of using it, I earned several dollars of my own money back in rebates and bonuses. If you’re not an Ibotta member, you can sign up here. They pay you cash back for certain groceries items including milk and produce sometimes! All in all, I’m happy with how the past two weeks have gone money wise. We’re living frugally enough so far this year that I am very content with where we are. Tune in next week for another update and with that? I’m off to cook a whole chicken for homemade chicken and dumplings. Can’t remember…I think i found your blog on Pinterest. Thanks for all the tips, and I’ve saved the ThredUp for when Im in the market for some clothes. Glad you were able to spend time with your fiance’ and congrats on your upcoming wedding! 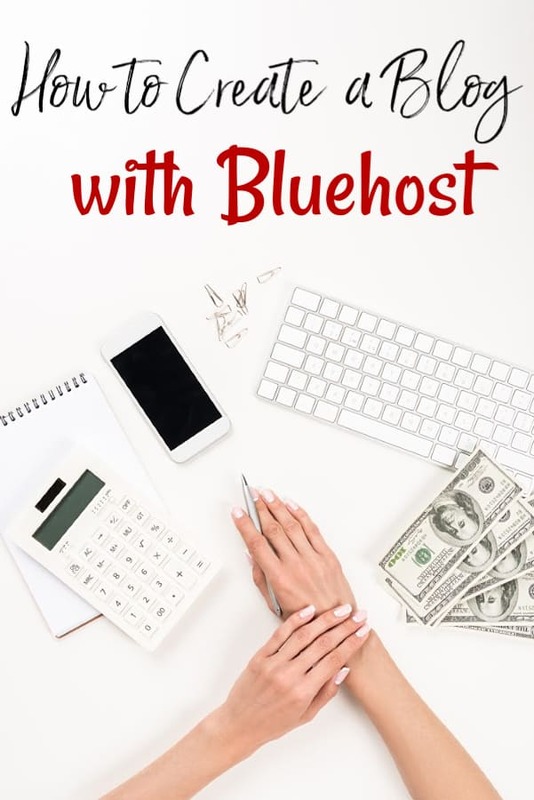 I just found your blog on Pinterest and went straight to Amazon to do the buy 5 get $6 off. Then I found it paired up with a Pepsi Superbowl deal where you get $10 off a $35 purchase of their products plus free shipping! I found items which were on both lists like Doritos, Tostitos, Tostitos salsa, Gatorade, and the Frito Lay variety chip packs and was able to double dip with both offers on the same items!! A $16 savings! I’m one of the parents who volunteered to bring snacks for my daughter’s after school competition and I just scored them for free! Wouldn’t have found it if you hadn’t steered me there! Thank you!! You’re very welcome Missy. I also hit that Pepsi sale for snacks for the kids. I’ll be doing a new update toward the end of the month. Softball season and band competition season is here which means I am one busy mom right now, lol. I am almost 64 years old and I LOVE your blog. My husband and I retired in May of 2018 but, I hope this “vintage pup” can learn a few new things. PS What is your opinion on trading for goods and services with others rather than spend money to get what you need?